Disturbed: Evolution World Tour - Heavy Metal Feedback!! 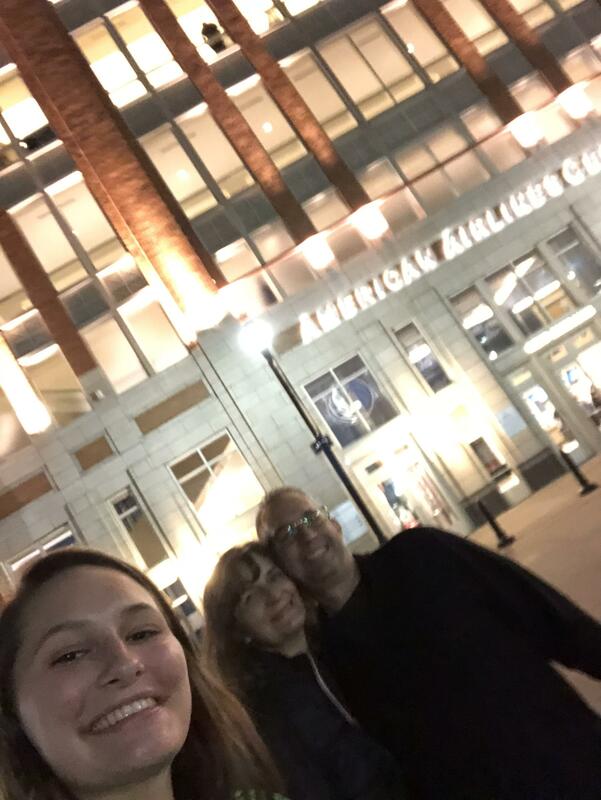 Thanks for an opportunity to bring our college student home for a great night out! How are you? 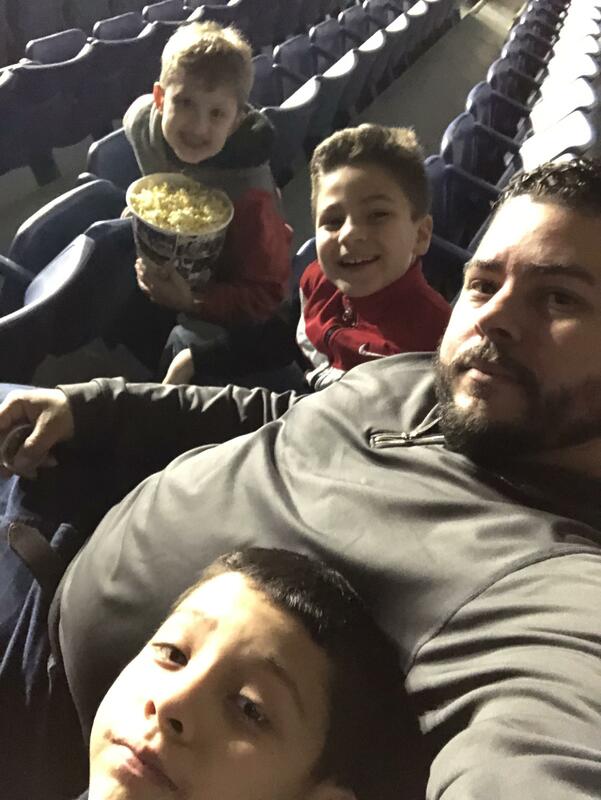 Thanks for the great tickets and seats! That was my first time seeing Disturbed and great concert! So grateful to live nation for the awesome tickets! 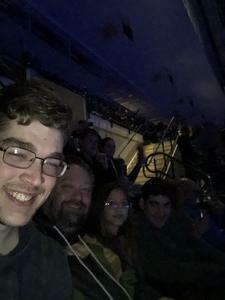 My family and I had a wonderful time! So many thanks! Thank you so much for the tickets! 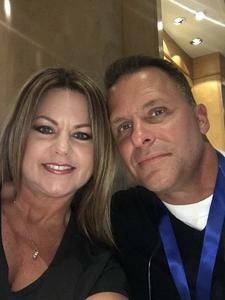 My husband and my sister and I had a blast. 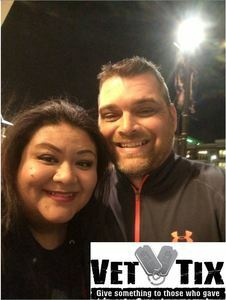 We have all been going through some major life changes and it was nice to just have fun and unwind! 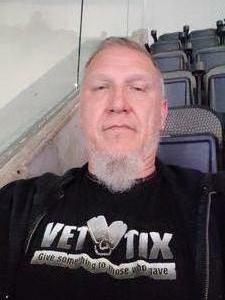 I just lost a battle buddy to suicide last week and disturbed are really big supporters of suicide prevention. So it really helped me to do some healing too. So thank you for your donation. Thank You Live Nation! 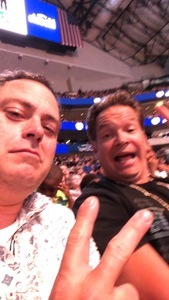 My husband and boys love heavy metal music so they were excited to get to go. They had a lot of fun on their guys night and my daughter and I stayed home for a ladies night. They sent videos of themselves having a blast, singing and dancing. Great memories made for sure. 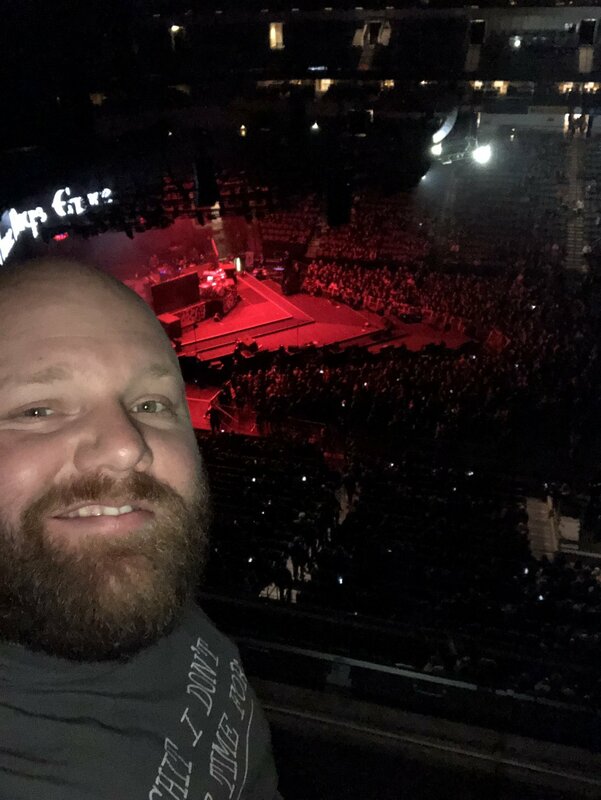 Hey, thanks Live Nation, for you donation of tickets to Disturbed and their opener 3 Days Grace! 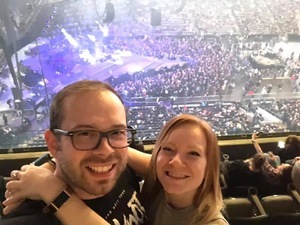 My daughter loves both bands, so I was excited to get tickets to see them with her. 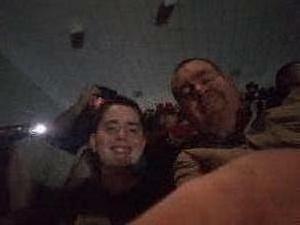 We all enjoyed the show, immensely. The show was great (especially my daughter). Thank you, Live Nation, for your generous donation of tickets for Three Days Grace and Disturbed! The show was amazing and we rocked our socks off! It was beyond belief. Thank you! Thank you VETTIX, what an EXCELLENT concert. 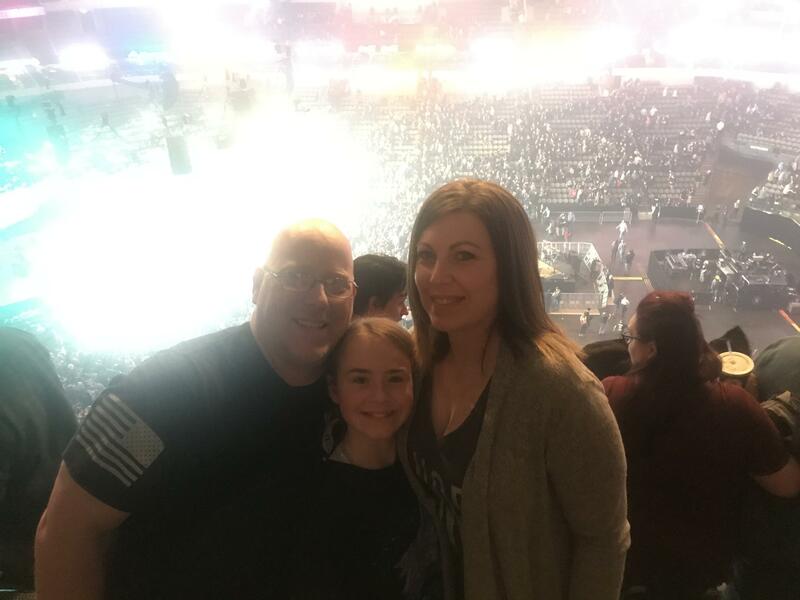 We loved seeing both Three Days Grace and Disturbed. Thank you to your vendor for allowing us to partake in such a wonderful night. Thank you for the awesome tickets. We had a great experience. I am a little sore from all the dancing but it was well worth it. THANK YOU VET TIX AND SPONSOR. The Disturbed concert was a really amazing event! 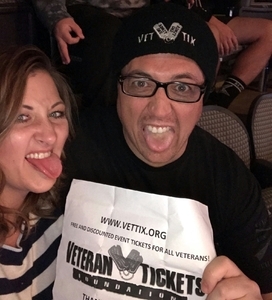 A big thanks to Live Nation for your donation to vettix. We had a really great time at the event. I've never seen a piano on fire but that was some really cool stuff. Would love the opportunity to go again. Thanks, we had a wonderful time! 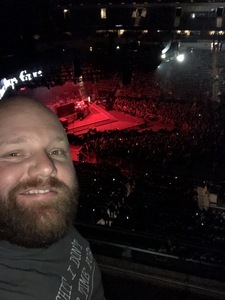 My thanks to Live Nation for making the Disturbed tickets available! The concert was incredible! 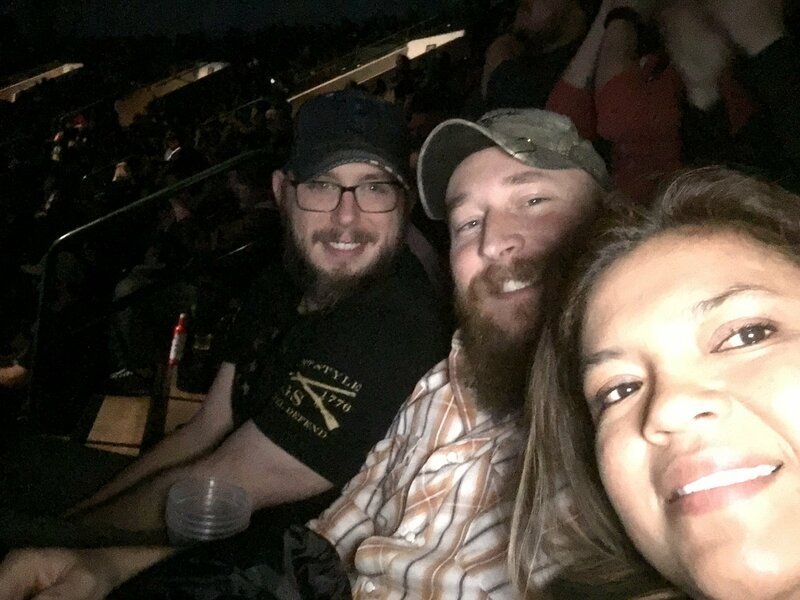 A dear friend of mine has never been to a concert so we took them with us as a birthday gift for her. Disturbed is her favorite band! 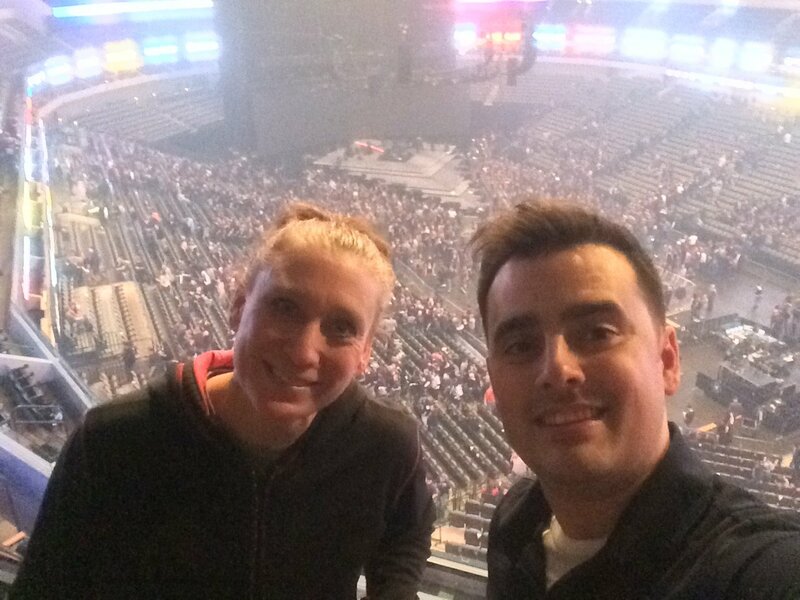 It was a very special day, and without your donation we wouldn’t have been able to afford the tickets. Y’all rock! 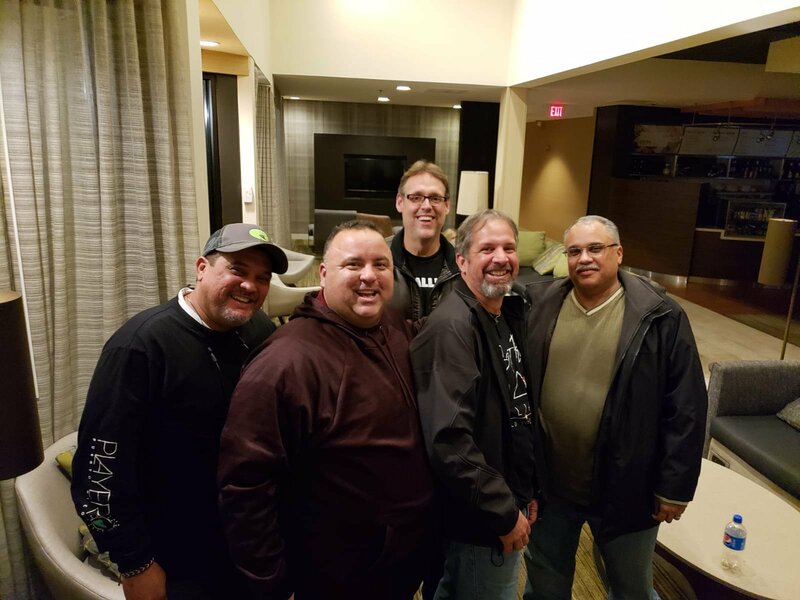 A big thank you to Live Nation! 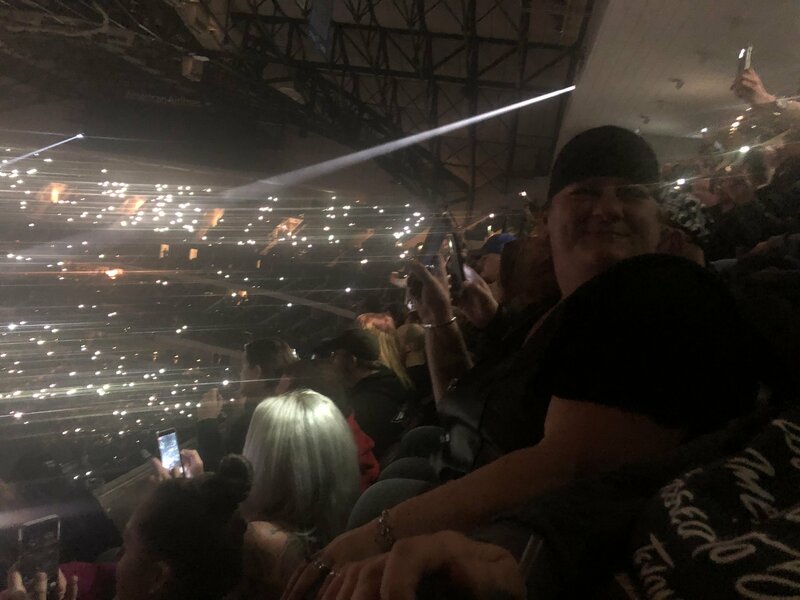 Disturbed and Three Days Grace put on a great show. My son and I had a "disturbingly" good time. He knew the music better than me. 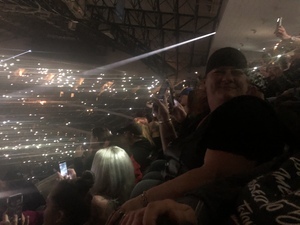 This was an awesome show, thank you to the donors and vet tix for the experience. 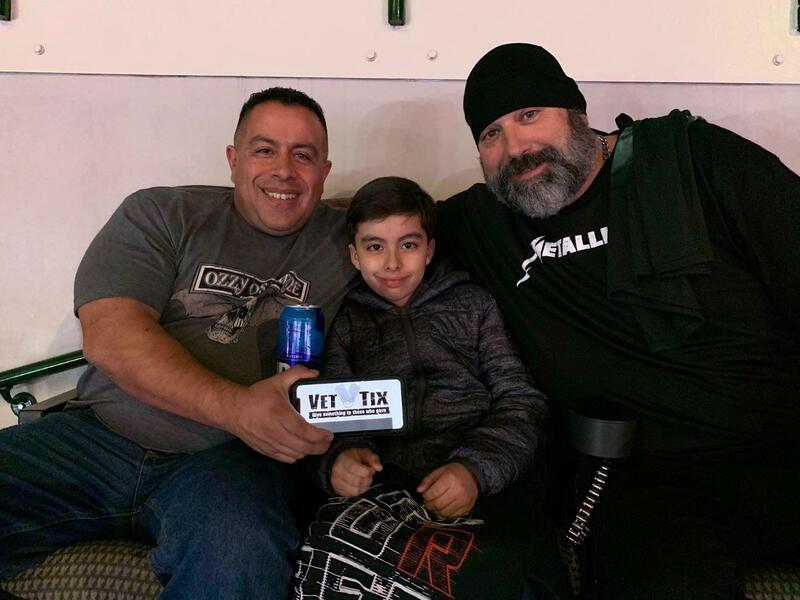 Vettix loves veterans and we love vettix! 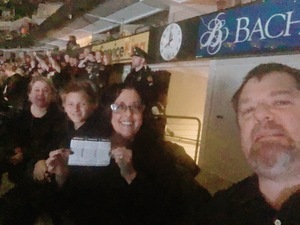 Thank you so much for the tickets, we had a great time! It really means a lot, that there are people that look out for vets. From the bottom of my heart, thank you! The absolute greatest concert that I have ever had the opportunity to attend. 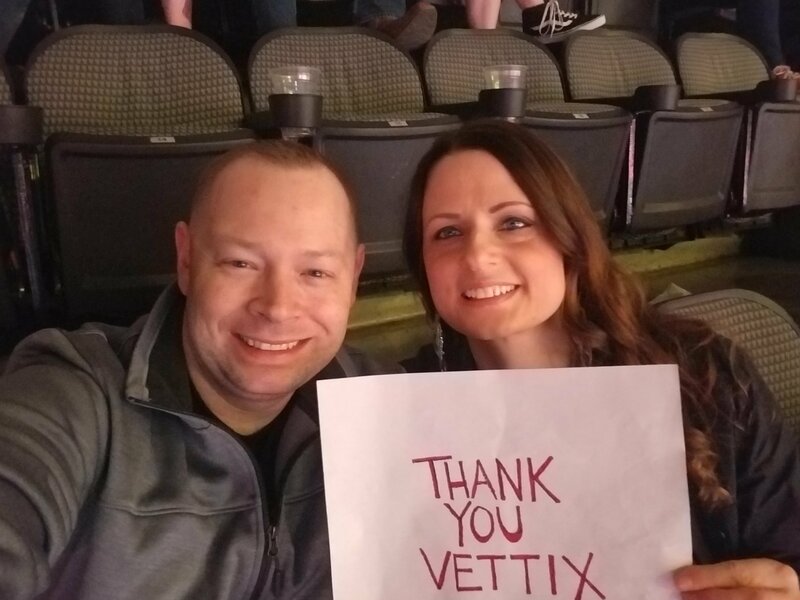 Thank you vettix for the opportunity to go! Thank you for this opportunity for my husband and I to take our 15 year old son to his first concert! We enjoyed it immensely, and will have lasting memories because of it!! 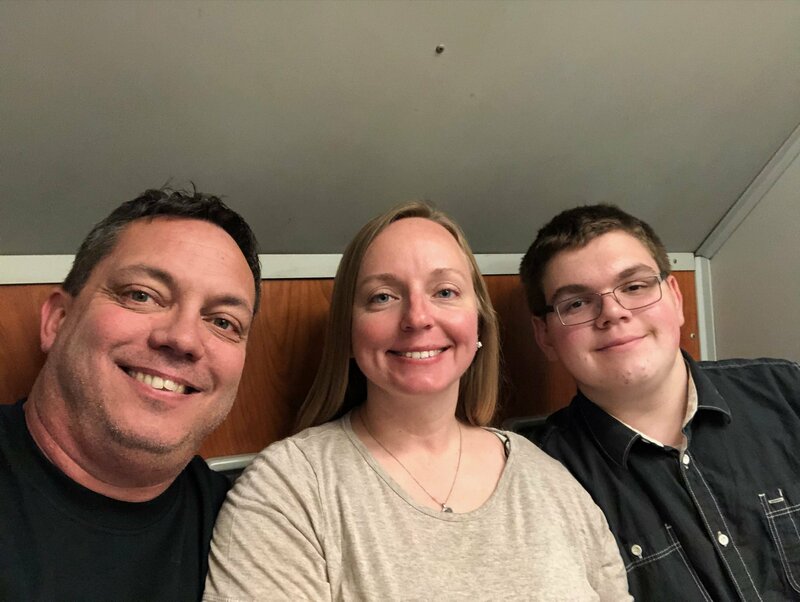 The picture of us is on the train on our way to the concert. We got so wrapped up in the experience, we didn’t take any pictures once we got there. This was not only my favorite band but also my 12 year old son first rock concert. We had such a great time and an awesome memory was created along with a good friend of mine. Thank you for your continued support to our vets. 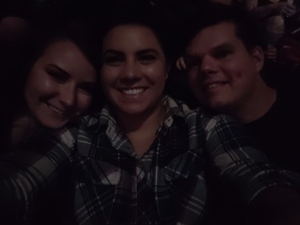 Thank you so much for the tickets to see Disturbed and Three Days Grace! 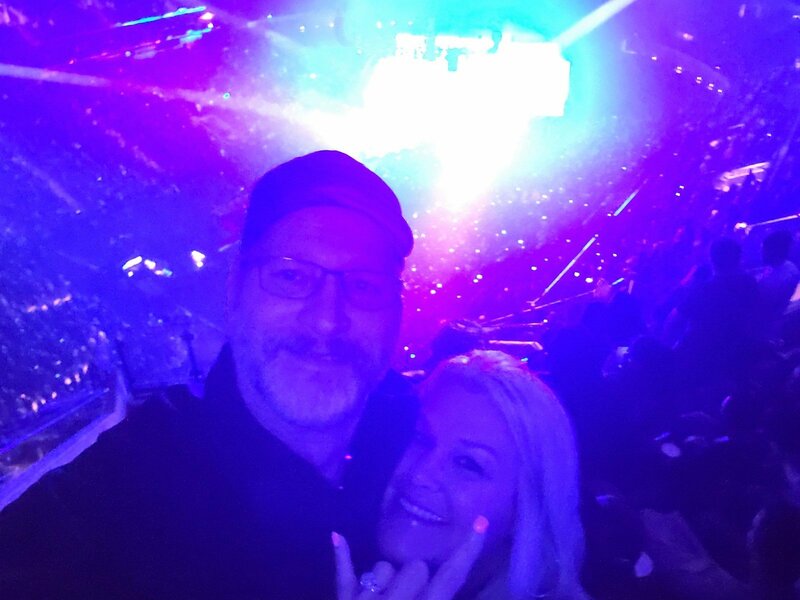 It was a great way to spend our wedding anniversary, and we all enjoyed the concert. 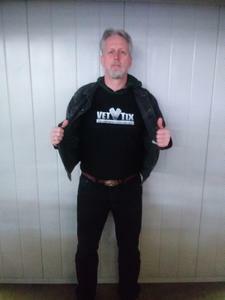 We really appreciate your support of veterans. Thank You Live Nation! My husband and I had a great time watching one of our favorite bands Three Days Grace. Your generosity is greatly appreciated.